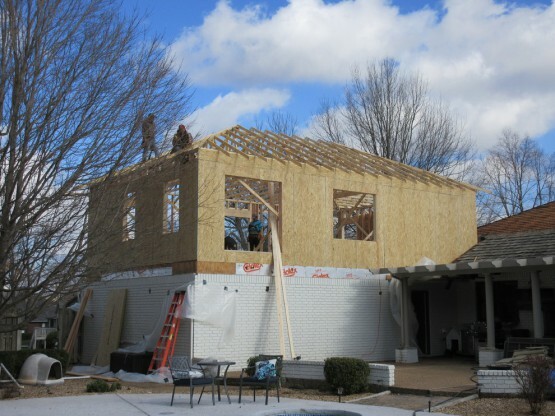 Want to save a few dollars or just have a hand in the construction of your home? 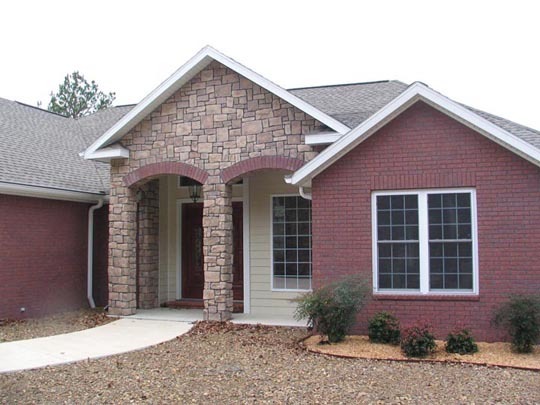 We will build a complete home from start to finish, or we will build to the point where you want to take over. 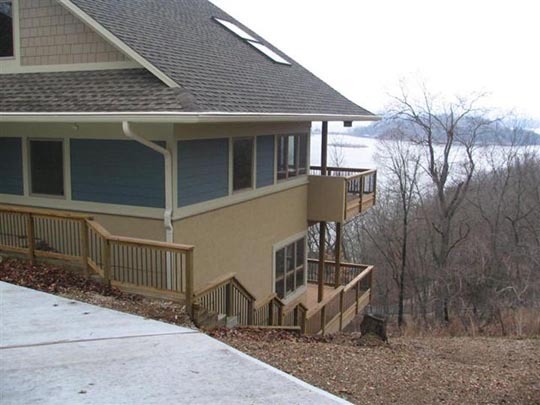 Check out this large scale remodeled home on Beaver Lake. The area over the breeze-way has a studio/bedroom with bath above it. We offer complete house renovating services, from kitchen design to bathroom remodeling. 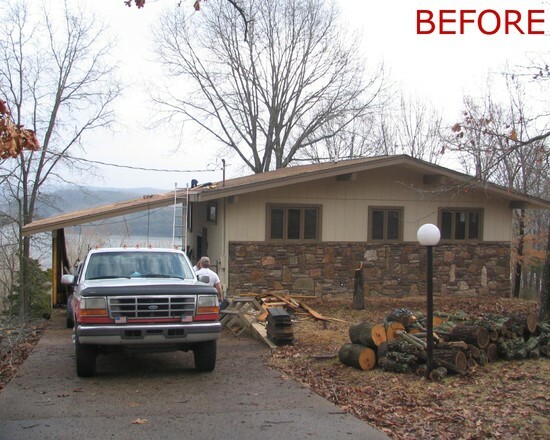 Theses images are from a large scale remodel in 2011 on a house on Beaver Lake. 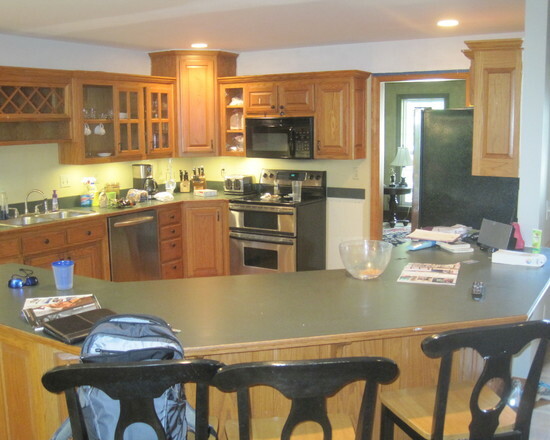 Drag the slider to see the drastic difference in this kitchen from being remodeled by Abshier Construction. 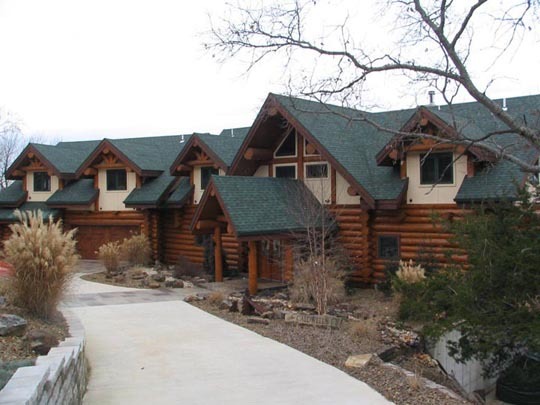 Abshier Construction is based in Northwest Arkansas and has been building custom homes, remodeling and additions for three generations. 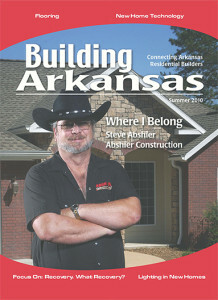 We are a long time member of the NWA Home Builders Association. We build custom homes and room additions, as well as perform custom remodeling of homes, we are also kitchens and bath remodelers. 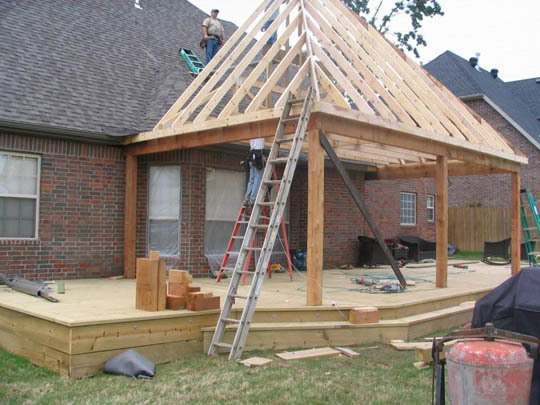 We are deck and patio professionals, kitchen and bath remodelers, custom home builders, and general home contractors. If you're looking to break ground on a new project or even just looking to update the kitchen or bathroom, Abshier Construction can help. 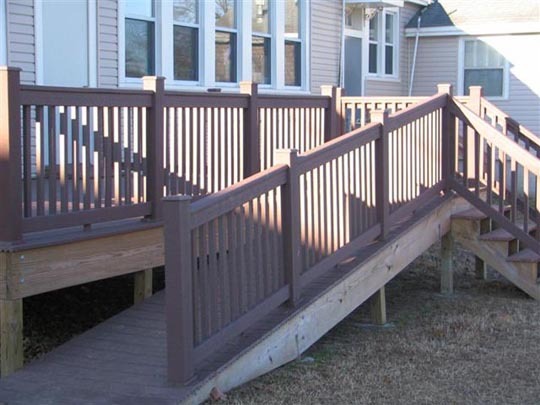 We do everything from repairing and replacing decks, remodeling kitchens and baths, to building custom homes. Abshier Construction built our energy efficient home in 1993. 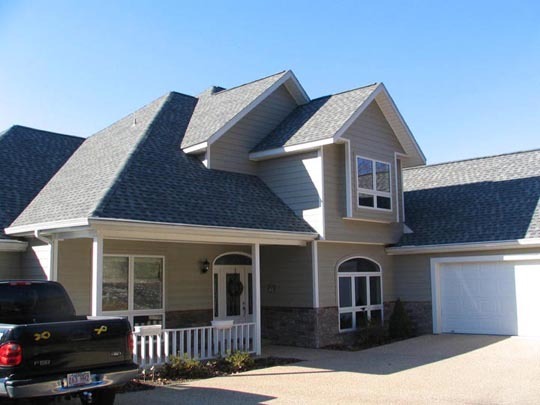 Since that time we have thoroughly enjoyed the custom trim as well as solid construction. 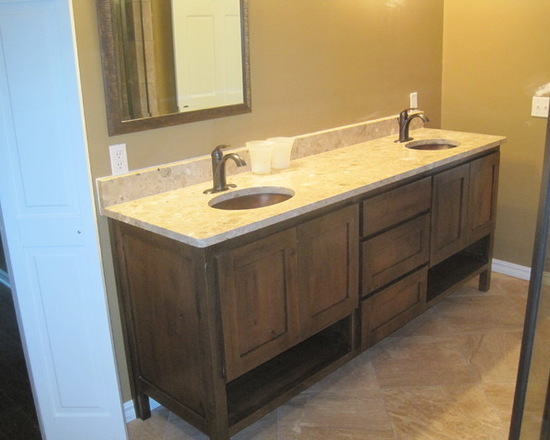 We appreciate the integrity and skilled craftsmanship of Abshier Construction so much that we hired them (without ever calling anyone else) to do bathroom and kitchen remodeling Fall of 2012. 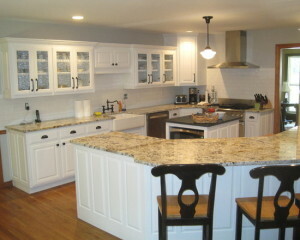 To say that we are pleased with the remodeling is an understatement! Steve and his foreman stay on touch, listen, and do what they say. We would hire them again without a second thought. 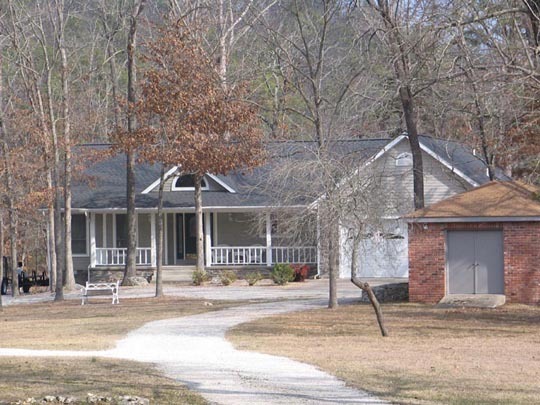 We purchased our lot in March of 1999. After meeting Steve and Bill we viewed other homes that they had built and liked what we saw. 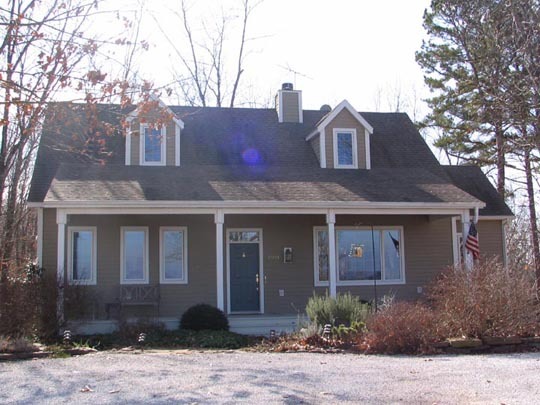 Steve and Bill were very responsive to our house plans and after a slow start due to the never ending Spring rains our home began. Once started they were there everyday. We were able to move into our home just before November of that same year. We will have lived in our home nine years this coming Thanksgiving and we are very happy with the house. Future plans this Spring are to have Steve and Bill turn the porch into a three season. 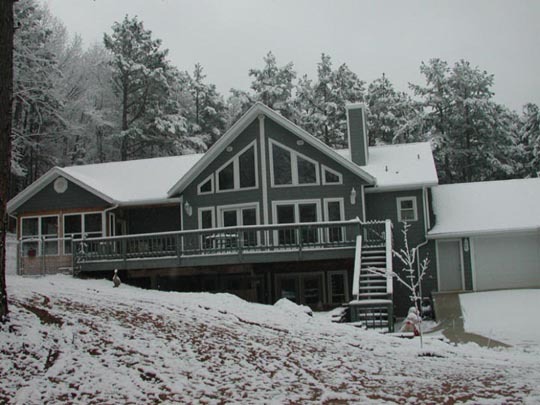 When we decided to build our home on our Beaver Lake property we contacted several local construction contractors of custom built houses. After visiting several of the contractor's projects under construction we settled on Abshier Construction. Primarily based on the obvious overall quality of their project. 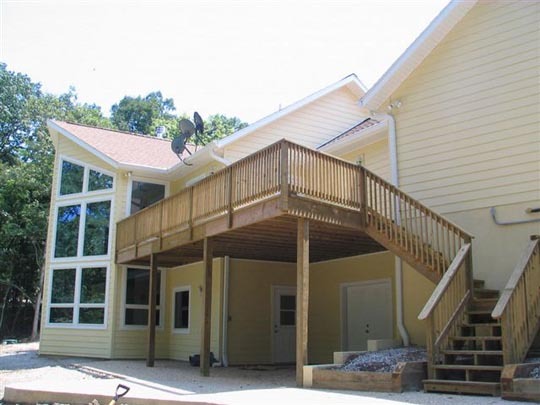 This was our first ever custom built home and we had heard the horror stories regarding the difficulty in surviving the process. Bill Abshier, and his crew, actually made it a pleasant experience. Bill was very easy to work with. Additionally, Bill, with his many years of experience, offered quite a few excellent suggestions during the construction. My father-in-law visited the house several times during the construction. 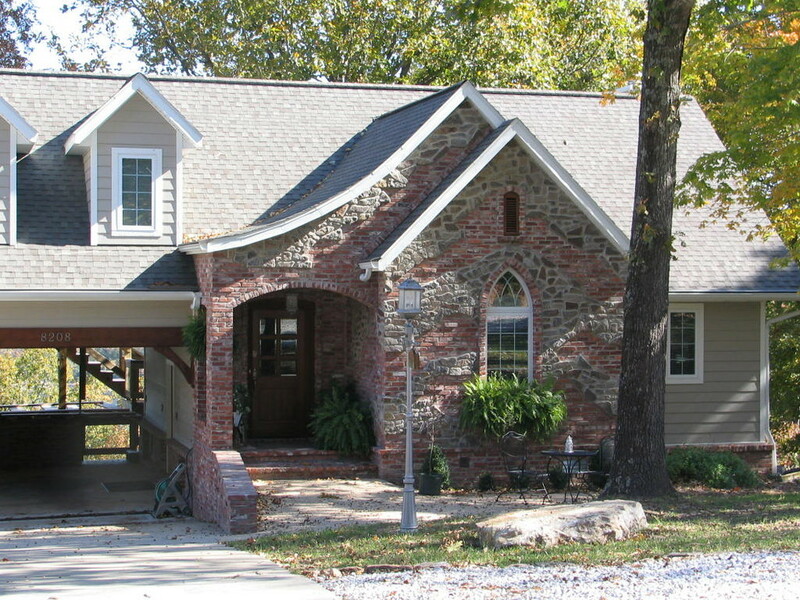 I valued his opinion as he had personally built several of his past homes and they were good quality built homes. My father-in-law was very impressed with the underlying strength and attention to detail that was evident in the construction of our home. 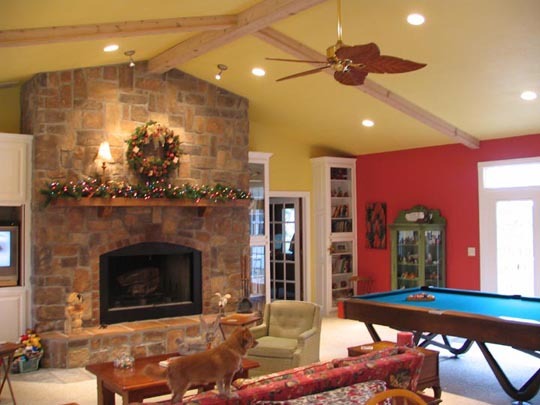 I would strongly recommend Abshier Construction to anyone planing on having a custom home built. Steve and Stan recently did a remodel for us. Talk about quick, efficient, and quality work that is exactly what happened. To add to the experience every time we had questions they were right there to give us an answer and I don't mean 2 days later it was immediate!! These guys are nice, polite and really know what customer service is about. 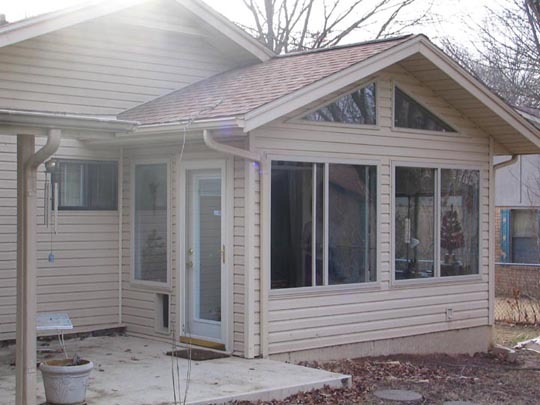 We have an older home so the remodel was a challenge because we knocked out walls to enlarge 2 bathrooms and of course we changed some plans as we got into the project. Never a problem for Steve or Stan they listened and always had solutions to what we wanted to do. Not all company's know how to remodel so do your homework before you choose a company!! Abshier Construction is professional and they know how to get the job done right!! Thanks for making our home look and feel new again. We love it!!! Steve Abshier built a solid and sturdy house for us. 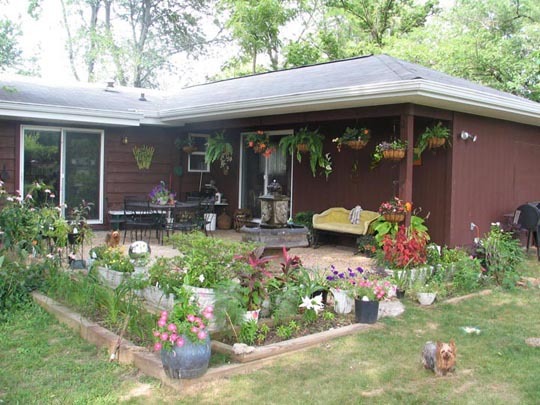 It is well insulated and has wonderful amenities. Steve was always willing to listen to us. He also came up with many good suggestions. 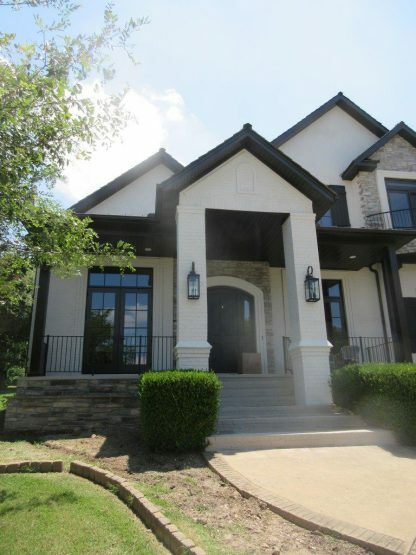 It was a pleasure to have Abshier Construction build this house for us. 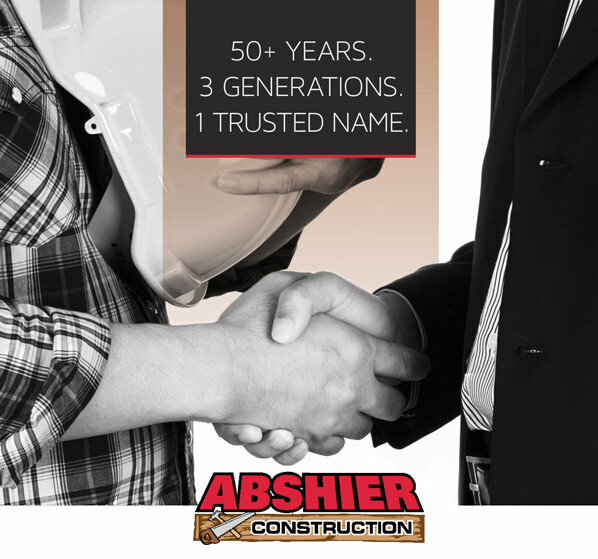 I have used Abshier Construction on 4 occasions over more than a decade. I was highly satisfied with the outcome of each project. 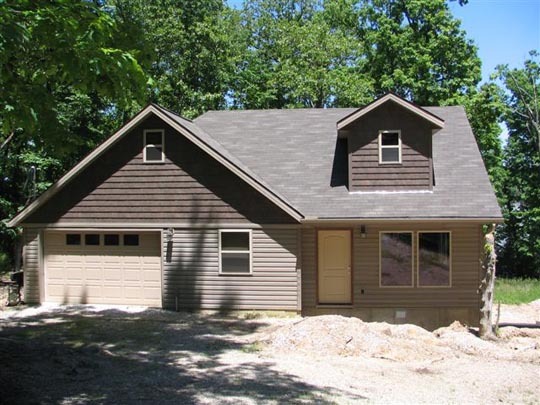 The first project was a small garage/cabin. 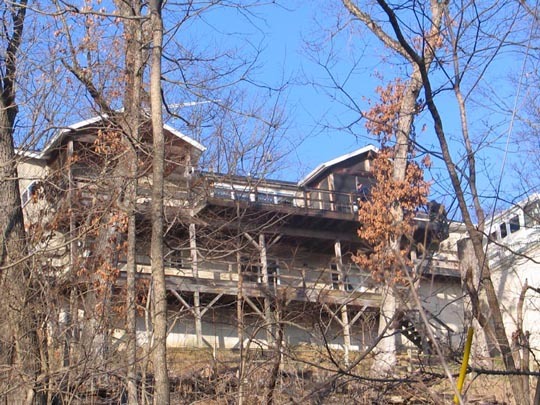 We then added a 2-level addition making it large enough to live there half-time. 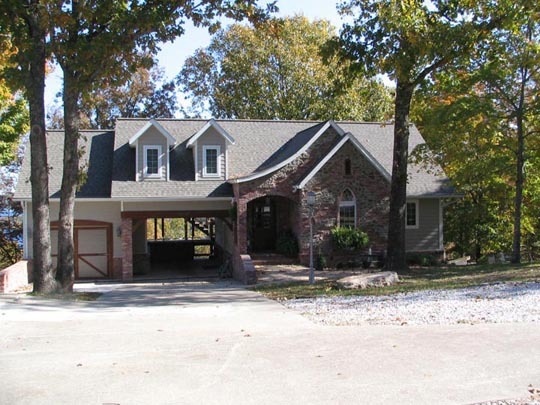 Eventually we moved there permanently and had them build a large, detached garage/workshop with second story storage. 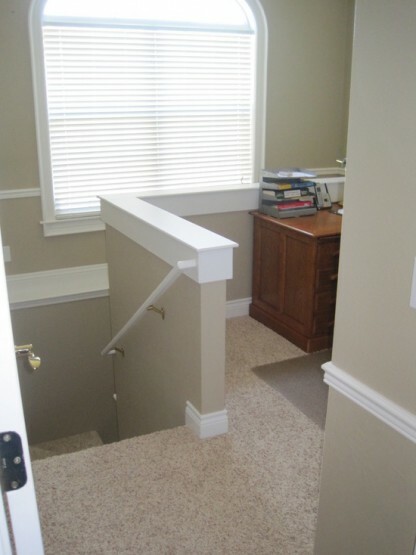 The last project was enclosing the original attached garage space for a study and guest room. Building our home in pieces required a lot of skill and creativity. They were easy to work with, clean and professional. They showed up every day, worked a full day, and stayed on the job until fully completed, no breaks in the schedule. Very honest and provided me with receipts from the suppliers for all materials, so no surprises. And also, they always answer the phone when you call ! 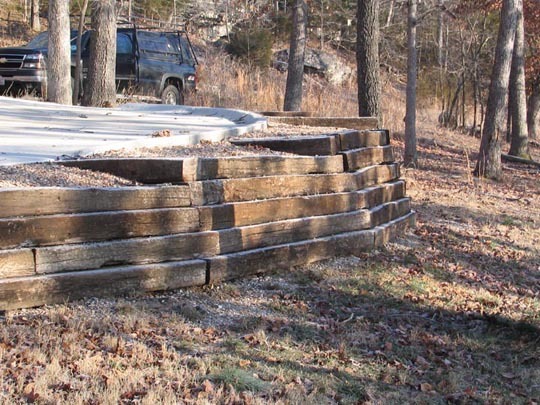 Knowledge, honesty, a willingness to work with our customers and the fact that we stand behind our work has allowed us to be successful building and remodeling in Northwest Arkansas for nearly 50 years! 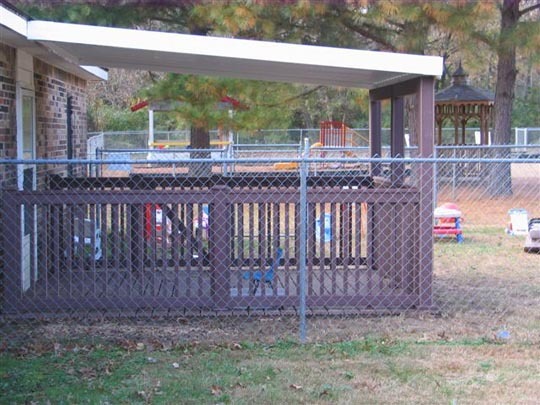 Abshier Construction is a NWA General Contractor and Remodeler building custom homes, room additions and performing custom remodeling of homes, kitchens and baths in Northwest Arkansas for three generations. © 2015 Abshier Construction. All rights reserved.